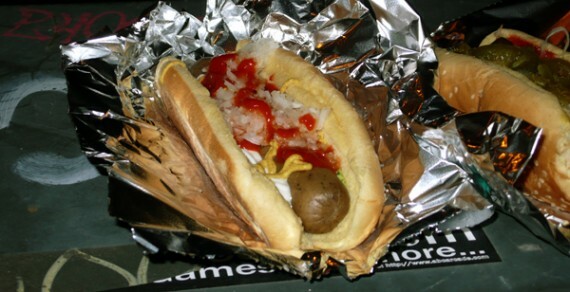 quarrygirl.com » Blog Archive » franken’s: LA’s first vegan hot dog stand! Your blog really makes me want to move to LA. Mmmm. Veggie food stand/vender in the valley? Score! This is what I love about your blog. 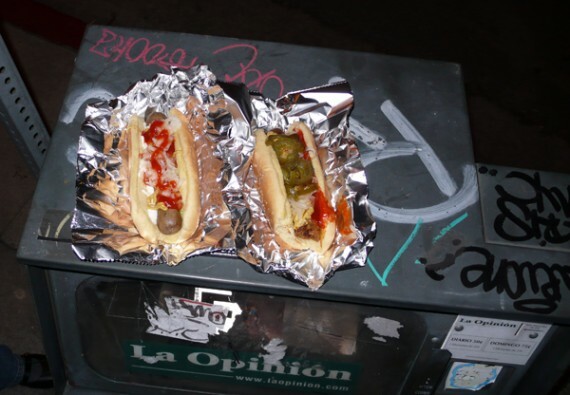 You review upscale Akasha … and then follow it up with a vegan hot dog stand! Great stuff! Vegan food from one end of the spectrum to the other! 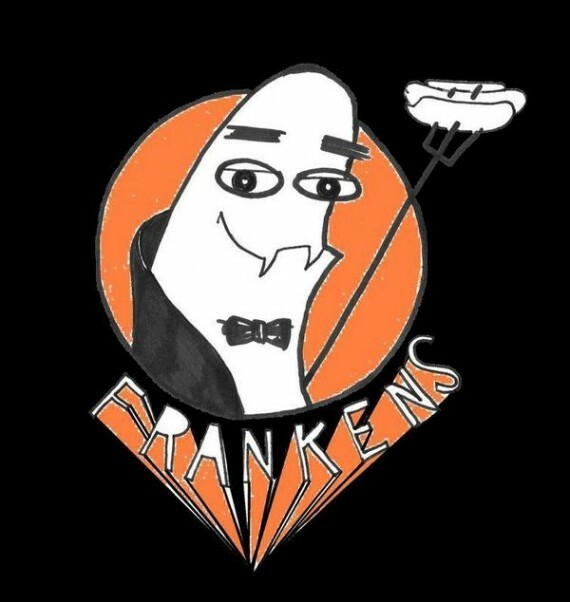 Franken’s looks AWESOME! Thanks so much for the post! You MUST be joking. I’m shocked! I hope they’ll park themselves outside of the Hollywood Bowl once their season starts. We really DO have everything here! Nice, I read about this a while back on the Vegan Collection blog but then haven’t heard of Franken’s again since then. I am so intrigued, I might have to join you for the Canoga Park hunt! I sure wish they’d set up a Twitter account for easy tracking… Myspace is so 2008. Wow! Excellent vegan investigative skills! This is awesome! We have something similar in SF called Sausage Party! 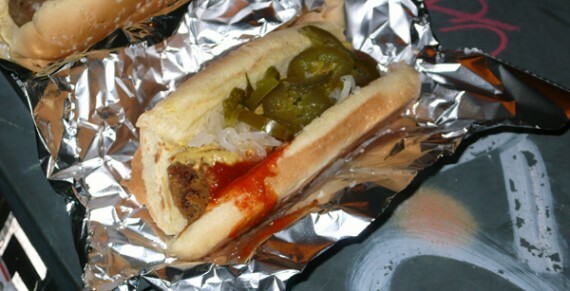 kudos to whoever piled the classic “franken” unnecessarily high with jalapenos – precisely my kind of dog! wait. you have to follow them on myspace to know where they are? i think they need to join twitter. Nice… someone either read my comment… or read my mind! check out franks @ the east hollywood art cycle on FEB 28TH, 2-10PM. much respect to ray and his hard work to achieve his goals. I met this guy outside of L’keg Art Gallery on Temple/Glendale. We was ready for customers at least a good hour prior to the event. I recommend the “the wolf” with a little bit of onions. From the descriptions provided, it sounds like they are using the Tofurky sausages and franks. Tofurky does make the best ones and at $4 that is quite reasonable. Franken’s should get the new “foot long” frank that Tofurky makes and sell that too. Cool! I was just at pehrspace last week but Franken’s wasn’t there. I’ll keep an eye out for them! I’m an Australian planning to move to LA and your blog has given me inspiration and hope. The land of vegan food! The land of vegans!! What’s this – vegan fast food?! In Sydney we have two (2) vegan restaurants. 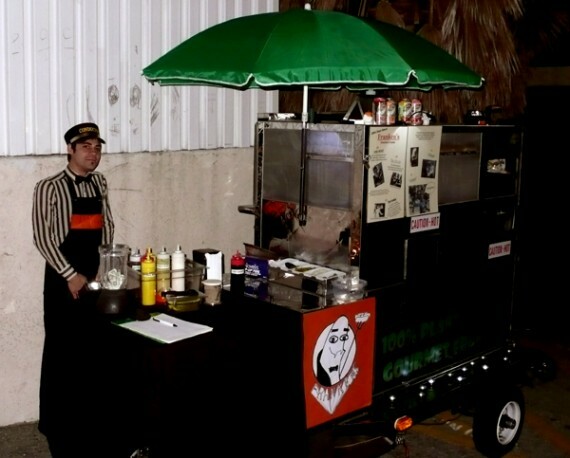 We do not have a wandering vegan hot dog stand. We do not have vegan mexican food – hey, we barely have dead-thing mexican cuisine. Thank you for writing entertaining, informative reviews with pretty pictures. I’m going to be fat and happy when I get to your side of the world. As human beings we chase after fleeting pleasures like a child licking agave off a sharp knife. Enjoy.